Concord Roof Repair, Roof Installations, Roof Replacements and More! Asphalt shingle roofing is both affordable and durable which is why it is the most commonly used roofing material in North America. As a roofing company we have decided to put all of our focus into mastering the art of asphalt shingle roofing. When choosing asphalt shingles for your roof there are many styles and designs available for customization. Our team is standing by to help you select the right asphalt shingle roofing design and style for you. We specialize in a variety of roofing Concord NC services, including new roof installations, roof replacements and roof repairs. Our roofing contractors have years of experience serving residents and even small business owners who desire asphalt shingle roofing in the area. Give us a call at (704) 879-3390 or fill out the form on this page to begin the process with a FREE on-site estimate. Scroll down to learn more about the roofing services we offer. If you’ve had multiple repairs on your roof recently, and can’t seem to get rid of leaks or other signs of damage, you may be in need of a Concord roof replacement. The benefits are numerous, but some of the most common reasons to replace your roof include: increasing curb appeal, improving energy savings, increasing the value of your property, and mitigating further repairs. 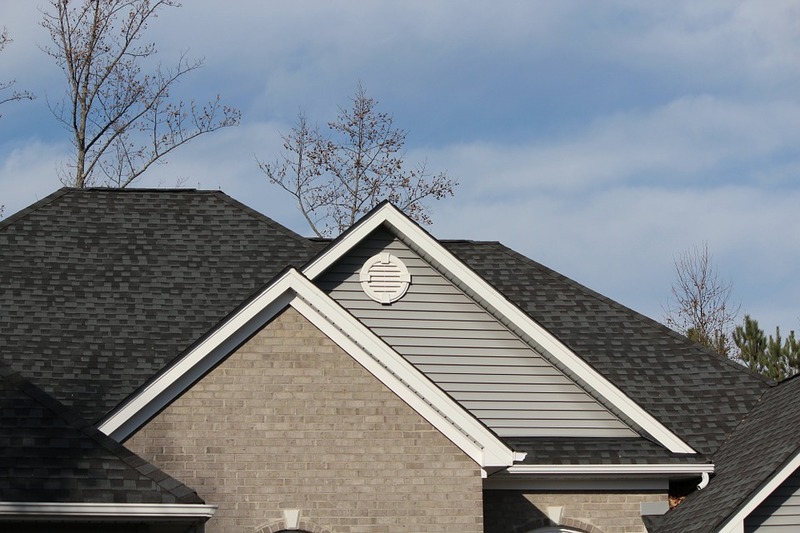 Our roof replacement services in Concord NC are tailored to suit your needs. Asphalt shingle roofing offers a wide variety of color and style options and can be customized according to the look you desire for your home. Whether you’re simply looking to upgrade your roof for aesthetic purposes or need a full roof replacement to undo and prevent further damage to your property, our team can help! We will work directly with home insurance providers to make sure you get the compensation you need and deserve to get the job done, and our contractors will work hard to ensure 100% satisfaction throughout the process. Give us a call today at (704) 879-3390 or fill out the form on this page for a free on-site estimate for Concord roof replacement services! Are you building your dream home in Concord NC? Our professional roofing contractors have combined decades of experience and expertise when it comes to new roof installations and custom home builds in the Carolinas! Make sure your roofing system is property designed and installed to last you for many years to come by hiring an experienced roofing company to do the job. You can rest easy knowing you’re in the right hands with our Concord roofing pros. Not only do we back up our materials and workmanship with a high-quality guarantee (and warranty); we will work with you directly to give you the best experience money can buy. We’ve worked with custom home builders all over the city to install new roofs on a variety of homes. No one understands the process of new roof installations like we do. Because we are experienced and knowledgeable in this area, we can help you by taking out the guess work and design a roofing structure that will benefit the overall architecture of your custom house. We will collaborate directly with your builders to ensure a seamless process from start to finish–one that’s hassle-free for you and gives you peace of mind. Don’t hesitate to do your due diligence when it comes to hiring a Concord roofing contractor. Your new home should be built with the highest standards of quality and that includes your roofing structure! Give us a call today at (704) 879-3390 or fill out the form on this page to learn more about why our clients trust us as the #1 roofing company in Concord NC and surrounding areas! Are you experiencing roof leaks or water damage in your home? Excess water ponding on your roof? Cracked, curled, loose, or degrading shingles? If you’re experiencing any of these problems, it may be time to contact us for a free roof inspection in Concord NC. Even if you’re not experiencing these problems, your roof may be approaching its age threshold, in which case, it’s a good idea to undergo a free inspection to prevent further damage in case repairs or even a full replacement is necessary. Perhaps you have a newly installed roof and don’t feel that regular maintenance is necessary. In that case, we advise you check your warranty, as many warranties may become voided if you forego necessary maintenance, resulting in expensive and costly repairs later on. Our team can help you get set up on a maintenance schedule that works for you. Did a tree or heavy limb recently fall on your roof? Our roof repair specialists can assess the damage and work directly with your homeowners insurance to get it repaired as quickly as possible. Natural disasters happen, especially in the Carolinas where the weather conditions have proven to be quite erratic over the last few decades! Winter storms, tornadoes, hurricanes, and summer hail can all wreak havoc on your roof in the blink of an eye! Don’t let the elements get the best of you and your home! Contact our storm damage roof repair experts today and we’ll help you get your life back on track. We know what a hassle it can be to get the compensation you need to repair your roof in an emergency situation. Don’t worry, we can handle all of the paperwork for you and help you get what you need to ensure you can go on living comfortably in your home. If you’ve recently suffered roof storm damage, give us a call at (704) 879-3390 or fill out the form on this page to request a FREE roof inspection and estimate for roof repairs in Concord NC!